October 12, 2018 – Connection! 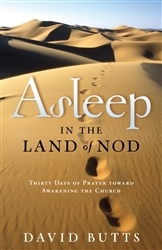 Adapted from the article Praying Men can make a Difference by Dave Butts, author of Asleep in the Land of Nod: Thirty Days of Prayer Toward Awakening the Church. This book is available at prayershop.org. Use the code CONPSP3 at checkout to receive an additional 10% discount.